In 1998, Haldane “Danny” Browne produced the “Filthy Riddim” for Main Street. It is a various-artist Dancehall compilation that features Degree, Mr. Vegas, Lady G. Tanya Stephen, Red Rat, and many more. It includes hit songs such as: “Heads High,” which is one of the most famous songs by Mr. Vegas, and “Traffic Blocking” by Degree. 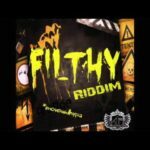 You may want to check out the “Filthier Riddim,” also produced by Danny Browne for Main Street. Do not hesitate to leave a comment below to let us know what’s your favorite track on this riddim. Share it on social network if you like it.